BASSETERRE, St. Kitts – Plans to introduce universal health coverage in St. Kitts and Nevis is drawing closer with the expected completion of a draft proposal and the launch of public consultations in early October. 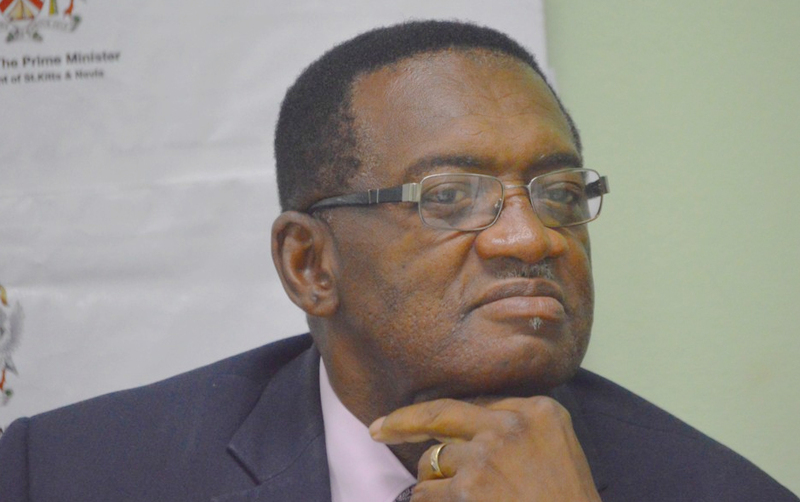 The proposed timeline was outlined by Minister of Health, Honourable Eugene Hamilton, at the Prime Minister’s monthly press conference on Aug. 30. The report on the way forward to establishing free universal health insurance coverage is being put together by the National Health Insurance Commission launched in February. The team has being working with officials from the Health Economics Unit at the Centre for Health Economics, University of the West Indies (UWI) St. Augustine Campus, Trinidad. Minister Hamilton said commission members have been working to establish the appropriate protocols and mapping out the way forward for the government to introduce the initiative designed to bring relief to families who struggle with healthcare costs. If all goes as planned, the minister said that the national health insurance initiative could launch in February 2019. Hamilton expressed the desire and commitment of the government to help its fellow man, particularly as it relates to reducing the devastating financial impact that treatment for related conditions caused by non-communicable diseases (NCDs) such as cancer, hypertension, diabetes and other NCSs, can have on personal savings. He added that through this programme, government is living up to its responsibility to deploy the national resources of the country to improve the lives of all citizens and residents. “We believe that if we have ‘the world’s goods’ we should ensure that those who are less fortunate, those who are in need, benefit from our stewardship,” Minister Hamilton concluded.